As we inch incrementally closer to the final release of Android 5.0 Lollipop, Google has provided developers with updated tools needed to leverage new APIs and conform with top stylistic practices. In the case of the former, the search giant seeded the SDK this morning. In a separate blog post today, Google turned its attention to aesthetics. 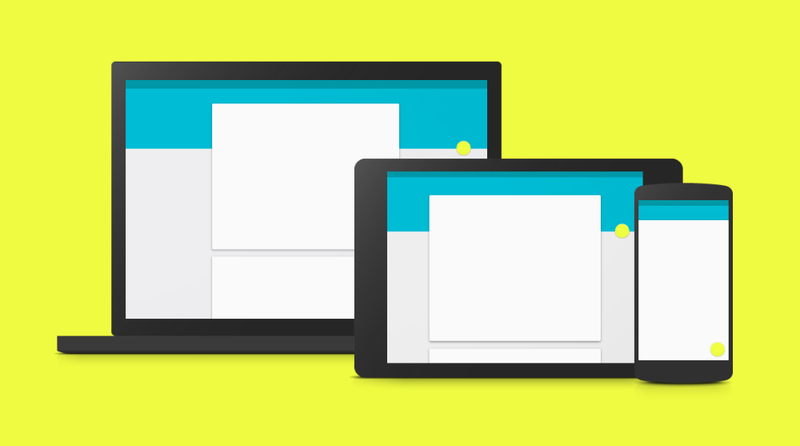 The material design guidelines had not been updated since June, a fact of which Google was keenly aware. The updated pages reflect feedback from the community, Design Advocate Roman Nurik said, and include a list of downloadable resources to help make incorporating touches of material design easier. Among the assets are sticker sheets compatible with a variety of design software, a new icon library, updated color swatch (i.e., palette) downloads, and updated wireframe files (used in designing UI). Nurik hints at more changes to come, which considering the window of time between now and the ship date of the first device running Lollipop is not too surprising. Still, you can bet that material design is largely set in stone at this point. Here is hoping that developers choose to adopt it in large numbers. Yes, Verizon Will Carry the Nexus 6.